We Brits tend to spend more time in our cars in the winter months, so tyres and wheels have to work harder – and on wet and potentially icy roads. Add to that the effect cold temperatures can have on tyre pressure, and it’s fair to say that wheels need a little extra TLC in winter to make sure they’re in a roadworthy condition. 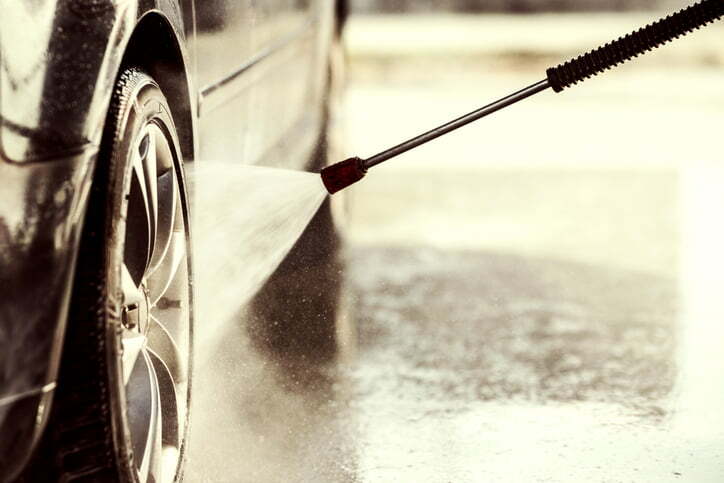 To help drivers maintain their tyres in winter, we reached out to motoring expert, Mark Barclay of GSF Car Parts, for his best tips and advice on winter wheel care. We’ve also thrown in a few of our own tyre care tips, so you can enjoy safe and confident driving this winter. Keeping your car clean in the wet winter months might feel like a losing battle, but it’s actually pretty important. Getting rid of salt, mud and dirt quickly can help to prevent corrosion and damage, and also. problems with the wheels can be harder to spot when they’re dirty, so you should try to keep them clean and maintained where you can. (Also, it means that it won’t be such a big job to get your car clean in Spring – doing little cleans regularly is better!). We recommend giving them a clean every couple of weeks. While you’re giving your tyres a wash, it’s a good time to spot problems, and an important thing to take a look at is the tread depth. You need plenty of grip on the slippery roads so worn tyres are a no-no. We know what it’s like in winter: you arrive home in the dark, freezing cold, and just want to get inside – the last thing you want is to start checking your car’s tyres. But given the demands that winter driving puts on your wheels, it’s important to have a look at them to check for any signs of damage. Again, this is something you can do while you’re giving them a clean – just spend a bit of time examining the tyres and you could prevent a big problem. Cold weather has a surprisingly big impact on tyre pressure, with 1psi (pounds per square inch) of pressure lost for every 10°F drop in temperature. That means, over the course of winter when temperatures can fluctuate massively, your tyres could deflate by quite a significant margin – which is why it’s so important to check them regularly. If you drive a lot in winter and want to feel confident behind the wheel, it could be worth investing in a full set of winter tyres. Designed to give better grip on slippery and wet surfaces, winter tyres are great for cold-climate driving when there’s a risk of snow and ice and you need maximum road holding. Mark suggests that winter tyres are definitely worth considering if you live in an area that’s prone to snow and ice. He says: “Skidding on poorly-maintained roads can also become a big problem in winter so, if you feel like your tyres aren’t safe for the colder months, it might be worth investing in winter-specific ones. These are made of a specialist rubber that has a high silica content and tiny grooves in the tread, which should give you a better grip on the roads. “Winter tyres are covered in small slits known as ‘sipes’, creating hundreds of extra small edges to grip the road. In snowy conditions, the tread grooves themselves are designed to be ‘filled-in’ by snow, creating more grip on icy surfaces. 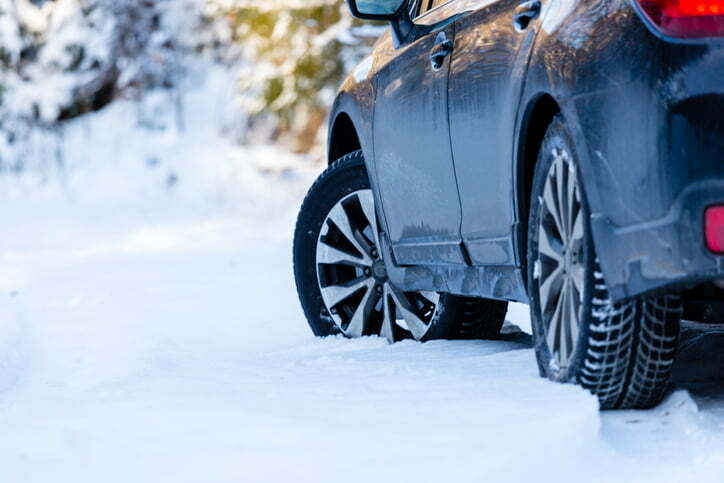 The deeper grooves are able to displace water much better than summer tyres, while the tread pattern will collect snow to improve grip on snow and ice. “There is no legal requirement to fit winter tyres in the UK, unlike nations such as Austria, so most motorists just stick to their summer tyres. 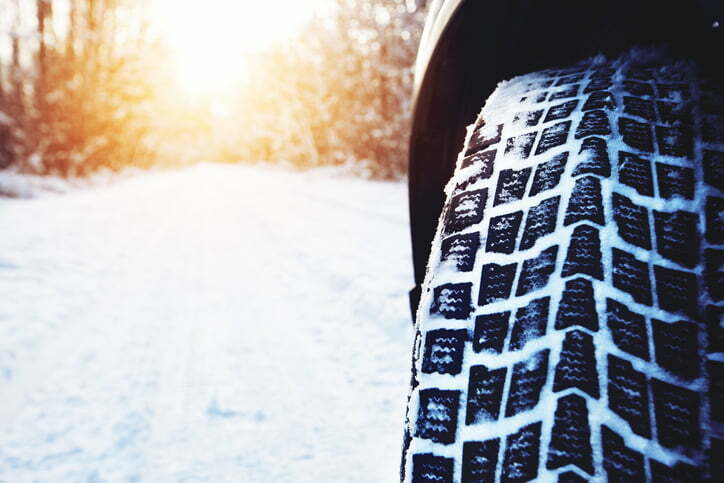 Winter tyres generally come with a higher price tag than their summer counterparts, and buying a whole new set is quite a significant expense. However, although you will essentially be paying for two sets of tyres, they will last twice as long, if not longer. No matter how much time and effort you put into preparing your car for winter, the stats say that drivers are 20% more likely to be involved in an accident in winter than at any other time of the year – so safe driving is absolutely essential. “When conditions are snowy and icy, it’s recommended that you use second gear to start moving the car as this decreases the chance of wheelspin. When driving generally, try to be in as high a gear as possible, and always be gentle when using the clutch and throttle to decrease the chances of wheelspin. Whatever winter throws your way, you can take care of your car with Simoniz. Our high-quality appearance products protect your car from the worst of the elements, so it can keep on shining all season long. Visit our homepage to find out more.